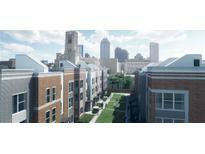 Find Downtown Indianapolis, IN New Homes for sale. View Photos, Maps and MLS Data Now! All exterior walls framed with 2x6s instead of the standard 2x4s, extra insulation and upgraded windows create an ultra quiet soundproof interior! MLS#21630435. Plat Collective. Fall Creek Place - This yard is enormous for the proximity to downtown but it also gives you a large finished garage and 2 car driveway. MLS#21631823. Weekley Homes Realty Company. Fall Creek Place - There is no plan like this one in the area! 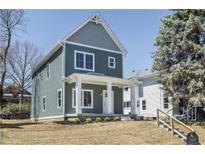 MLS#21631793. Weekley Homes Realty Company. Fall Creek Place - To top it off this home-site boasts a large yard, large finished garage, and a 2 car driveway. MLS#21630636. Weekley Homes Realty Company. Lots and homes are selling FAST, get in while you still can! ! 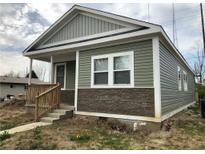 MLS#21631569. Luxcity Realty. Herron Morton - Start your day with coffee from The Foundry, stroll over to Festiva and enjoy appetizers on their heated patio and wrap it all up with a nightcap at the Tinker Street. MLS#21630418. Onyx and East, LLC. Herron Morton - Start your day with coffee from The Foundry, stroll over to Festiva and enjoy appetizers on their heated patio and wrap it all up with a nightcap at the Tinker Street. MLS#21630424. Onyx and East, LLC. 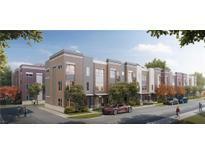 Rare new construction in a top location! MLS#21630455. Onyx and East, LLC. ft carriage house w/ views of Indy skyline above 2 car garage ready for finishing touches for AirBNB, etc. 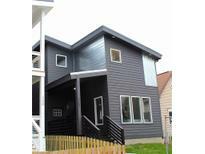 MLS#21629568. CENTURY 21 Scheetz. Schedule a walk-through today to see the quality yourself, and review the brochures on the island in the kitchen to gain some insight into why the quality of this home will stand the test of time! 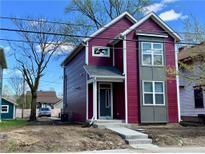 MLS#21623195. Freedom Investment Realty Grou. Walk to IUPUI, and all Downtown Indy has to offer. MLS#21630017. Luxcity Realty. All smart homes can be designed for any Special needs. MLS#21629991. Luxcity Realty. All indy smart homes can be customized to owners tastes and ideas. Indoor outdoor patio/grotto. MLS#21629985. Luxcity Realty. MLS#21629835. Onyx and East, LLC.